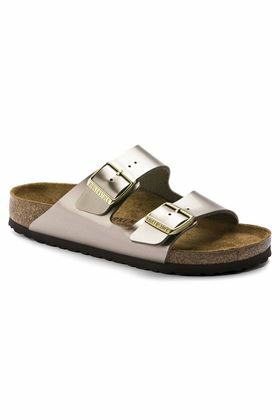 The BIRKENSTOCK Arizona is a genuine classic that has been delighting all with its timeless design for decades. With its additional foam layer, the soft footbed offers extra comfort and pampers feet – all day long. 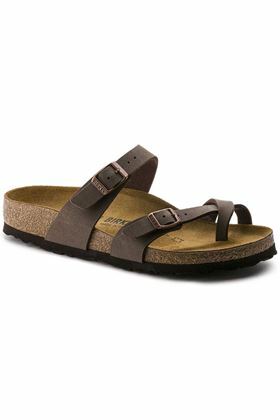 The BIRKENSTOCK Arizona is a genuine classic that has been delighting all with its timeless design for decades. With its additional foam layer, the soft footbed offers extra comfort and pampers feet – all day long. The color-contrasting outsole and buckles stand out strikingly against the upper and round off the look. 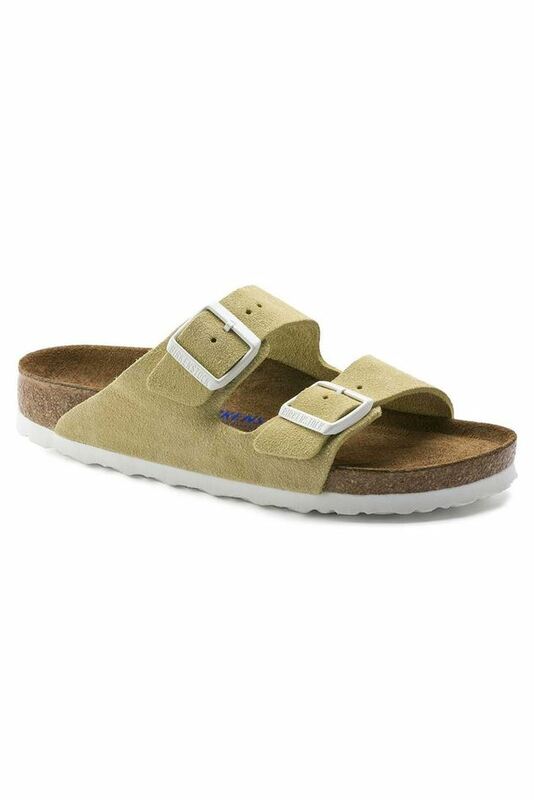 Its natural design is down to the upper made from especially soft suede, which hugs the foot like a second skin. 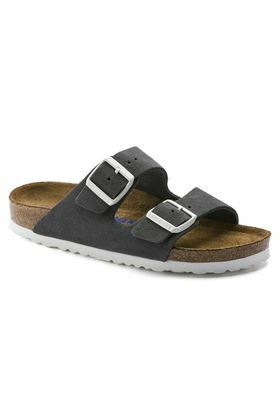 The BIRKENSTOCK Arizona is a genuine classic that has been delighting all with its timeless design for decades. This sandal was reinterpreted in an extravagant electric metallic look. 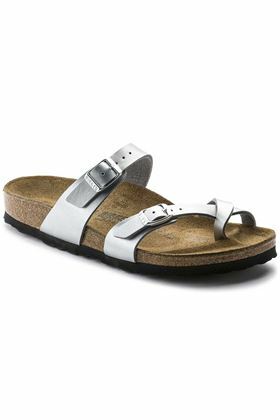 The BIRKENSTOCK Mayari thong sandal is a jaunty model with a toe loop. The impressive combination of design and wearability will see the fashion-conscious through the day with elegance and comfort.